Applying for a Library Job? Do This! Come to this session and find out what you should do when applying for jobs in both public and research libraries. Our guest speakers will tell you what they are looking for in applicants, how to properly prepare for the interview, and provide tips on how to transfer your current skills to library work. 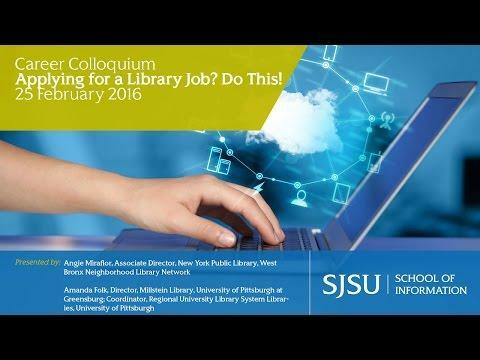 You don’t want to miss this discussion with hiring managers as they talk about their most recent recruitment for a Librarian 1. This webcasts has been archived and may contain content that is out of date.